I marinate the chicken breasts in Greek Dressing for several hours and then grill and cube. Chop all the vegetables and arrange on a serving platter with the chicken and crumbled feta. Arrange the pitas on another plate. 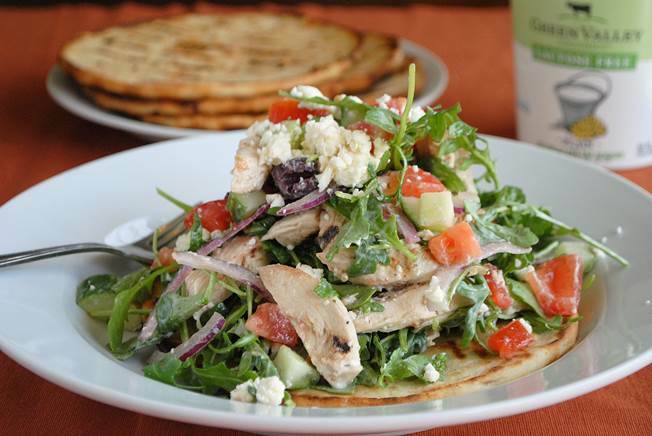 Let people serve themselves – either closed or open souvlaki – and add Greek Dressing to taste.